Vanessa, Beautiful Vanessa inside out, the kindest loveliest person I have ever met. She is a make up artist so you can imagine her beauty collection, the only thing I dislike about this girl is she makes my bank balance cry along with Aimee!! Aha, these two are the worst people to take shopping unless your loaded hehe. 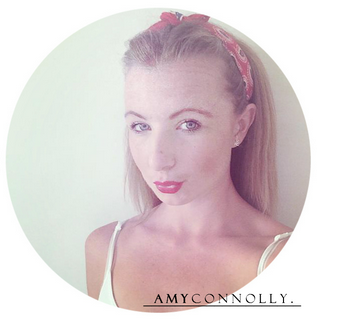 She has a lovely blog with great beauty reviews and has also started up a youtube channel which I am loving! Jessica, One of the first ladies I spoke to on Twitter and not been lucky enough to meet this little beaut yet, she makes my heart melt, she can make me smile in seconds with her kind words and has a heart of an angel. The sweetest most beautiful girl you wish to meet (online) if you're ever feeling down she always finds time to help you and make you feel better in seconds she is also so kind to comment on all of my posts, she's my little sweetheart and I love her blog! Go check out her gorgeous fashion posts and be jel over her awesome body! Ella, This lady is one talented woman and the best multitasker I am sure! She has a lovely little family yet manages to be a fab mummy, blog owner and blog designer and probably a lot more. She designed my blog and my layout previously I love all of her work, go check out her portfolio the best £25 I have ever spent. He blog is beautiful, stunning photo's an online diary of her life and you feel with every post you get to know her a little bit more she shares her ups and downs which I adore it really captures her personality and I love getting lost in her words. Kate, Kate is so nice, very easy to approach on Twitter and her blog is fab asnwell as her youtube channel, I can not stop watching her videos one of my faves at the moment, she has took to it so well and looks like a complete natural, I need some tips for starting out my channel more. She's gorgeous and had died her hair probably the same amount as I have, I love catching up with her most recent posts and drooling over her many hauls! This girl knows how to shop, who can blame her? All us bloggers get the spending bug from time to time, its an addiction. Sophia, I love Sophia's blog, I have been reading this for a very long time she does the best reviews, very informative and gives you a great low down with also tips and hints and did a fabulous skin care collab a while back with everyone's skin type to adapt to all her readers which I thought was so fab. I have only spoken to Sophia a handful of times on Twitter but would be intriguing to meet this lady in the flesh and share a chat over a nice cuppa! Hayley, This lady is very nice and very easy to talk to we have had a little run in but glad we are all sorted, I think we just have a very similar mind, I blog about something and she has already done something similar, I hate more than ever copy cats and being made to look like one did upset me but with most bloggers we are going to have similar posts I mean how many of us are there?! But Hayley has a great blog with posts that make you laugh out loud as well as sharing the newest beauty release or a review of her favorite. Go check out her dating posts you will be laughing your head off. Laura, Beautiful Laura, we haven't spoke much on Twitter like we used to but she is a lovely girl with sass and her posts are fab. She does great reviews and makes me want to buy the product once she has described it it so well and perfect swatches. Gemma, How stunning is her blog title? I love this lady, she was also one of the first people I spoke to on Twitter, with a massive follower account I was expecting her to be so friendly and welcoming to me and really helped me out. 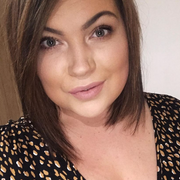 With most bloggers with a lot of follwers I do find a lot of them quite rude and don't give you the time of day at all and make me feel like I'm beneath them but Gemma is the loveliest lady and will make you feel so at ease and help you with anything you need, to an extent of-course she's a busy woman. I don't know how she posts daily and sometimes twice with her job, very proud of her blog and how far she has come shes so lovely too. Sophie, the piece to mine, Hayley's and Chloe's jigsaw. A fellow mummy blogger friend of mine who is lovely and very easy to talk to, always looking fab when we meet up and makes me laugh. Her blog is also great with fab reviews, wishlists and lifestyle posts. Lyndsay, Although we don't talk as much as we used to on Twitter with us both having busy life's she is the sweetest lady, very easy to talk to lovely inside out and I love catching up with her life through her blog, she also does a mean crochet mug holder! Still yet to buy one from her, perfect now winter is creeping up. I love her lifestyle posts over anything and always makes me want to go and visit the place she has just talked about with some great beauty posts and some crafty work makes me want to make things but I am so impatient for things like that, wish I wasn't. Aimee, Love this girl, she is so bubbly, kind, beautiful, lovely and her smile could light up a room. She makes you instantly feel happy with her infectious laughter and could take you around Selfridges blindfolded I am sure always leading you lastly to the Charlotte Tilbury aisle, am I wrong? This girl knows how to shop beauty style and always shares with you what she has been buying her lovely blog, I always read Aimee's newest posts doubtfully knowing though that I will want what she has just bought, it's totally her fault I am now obsessed with Charlotte Tilbury she's like that, but honestly the best girlfriend you could have! Sarah, Another beauty enabler, literally go on now look on her blog and you will see all the amazing beauty posts, keep scrolling and keep getting jel of her amazing collection and drooling over her brows! This girl has some serious brow game, they always look amazing! Still yet to find out that secret, I was lucky enough to meet Sarah at a blogger meet I organised a while back and it was an absolute pleasure and need to see her again! Erin, Gorgeous Erin love chatting to Erin on Twitter she always makes me laugh and I am usually following her thread on there with other bloggers and giggling away and having to join in on the banter. This girl blogs a bit about everything, healthy tips , beauty fashion and more love reading her most current posts. Kenzie, I absolutely adore Kenzie's blog, her photos are stunning and so pretty and her blog content to go with it is match made in heaven. I love relaxing and flicking on to her blog, eve better when I haven't been on in a while and I can have a good read through all her current posts with a brew, as well as Kenzies blog she is such a lovely girl to talk to on Twitter, shes so sweet and a stunning girly. Amy, Also love this chick, have been friends with this girl for a while on Twitter and we have similarities and both fighters! We have come out the other side and making the most of our lives, she is such a beautiful girl and really hopes she realises this, she is a strong lady and can fight the world with her amazing strength and creativity which is infused in her blog. She does some fab OOTD's with her hot bod, beauty reviews, lifestyle posts and challenges along the way, very easy to read and a fave of mine. Amy, Sweetest girl Amy is such a nice girl very easy to talk to and I love her blog, her photos are always on par as well as her content, I am always checking out Amy's newest posts and she has recently been putting on some more fashion posts she always looks fab on them and love her style! Clare, I met Clare at a meet up I organised a while back and she took a bit to come out of her shell but she is a very lovely lady, again another beauty enabler with a humungous Mac lipstick collection I am very jealous over. Her blog is very easy to read with great photos, there is usually a haul on there somewhere to drool over with awesome reviews and lifestyle posts. My little Alexandra, She so beautiful and can just imagine her being the sweetest little thing in the flesh, I need to meet up with this gurl! She is so nice on Twitter and always cheers me up when I'm having a crappy day or just makes me laugh on a normal day. Her blog has a great mix of beauty, fashion and lifestyle with her personality thrown into it all, I am always reading Alexandra's blog and who doesn't love cats and vodka?! I am sure I will do this once a month at least to share with you all some more of my favourite people and blogs, hope you all have a lovely weekend. It is very hot in Ibiza and I am missing my girls, a little aha.